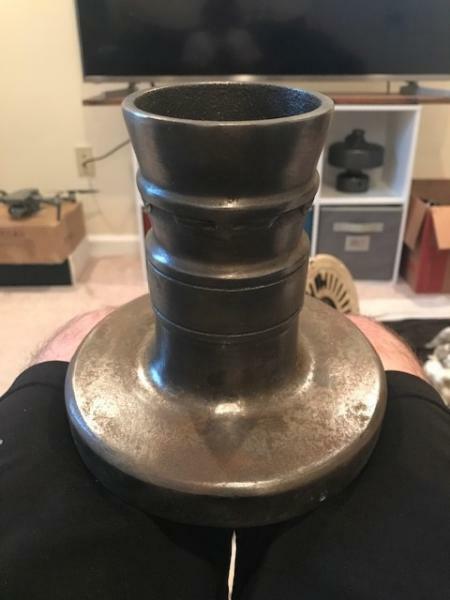 I'm starting a thread to detail progress on my current Antique CF restoration - a early '20s Emerson 45641AV 56" Longnose, apparently a hotel model. It has a casting for a snap switch up top and no provision for any type of switch down below in the fitter. I've seen late-model Longnoses with snap switch castings, but never an early round tag model. Unfortunately, someone yanked the snap switch, so I'll have to figure something out. The fan is destined for my parents' bedroom back in Texas; the same house that I restored this Longnose for the living room. I'd like to restore it in the same Krylon Satin Ivory finish I used for my 1966 Hunter R36. I'd appreciate it if someone could point me in the direction of a suitable snap or toggle switch for the top of the motor. The screws appear to be 1-5/8" OC. I only need two speeds on this bedroom fan - full power and a ~120 rpm "sleeping low" (perhaps using a capacitor instead of the factory speed coil). I'd like to avoid using a Triac wall controller since this fan needs to be dead silent. I've started stripping paint, using my trusty pocket knife. Stay tuned. I'm just curious but what's your obsession with restoring and installing antique ceiling fans in your parent's home? Especially considering that by the way your parent's house looks it doesn't even look old enough to of had fans of this vintage in it originally. 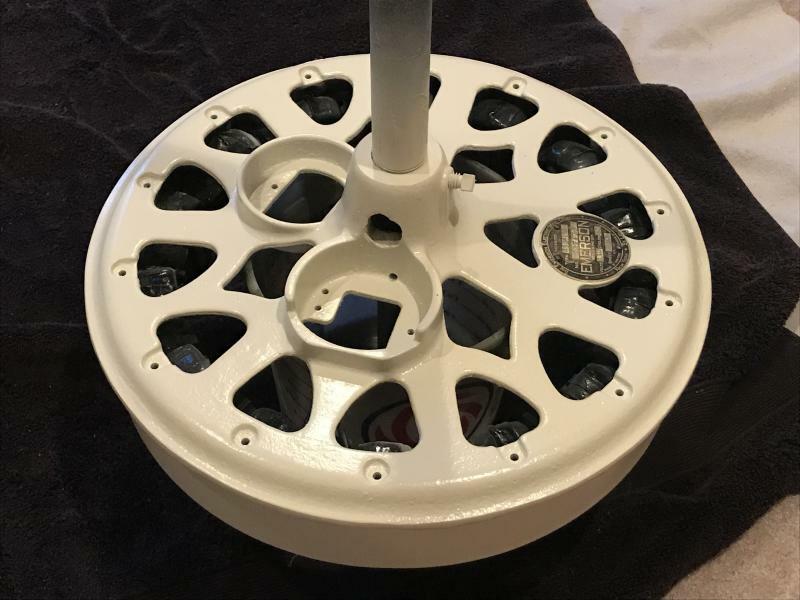 I would only install antique ceiling fans in a house that would fit the time period of the ceiling fans, I most certainly would NOT install antique ceiling fans in a home from the 1970s or 1980s, as the aestetics wouldn't be right. 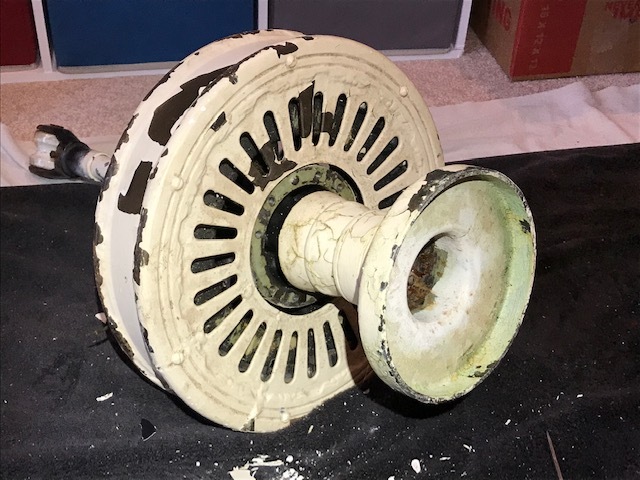 Imagine trying to install a 1920s craftsman style chandelier in a midcentury modern home built in the 1960s, it wouldn't look right, its the same way with antique ceiling fans! 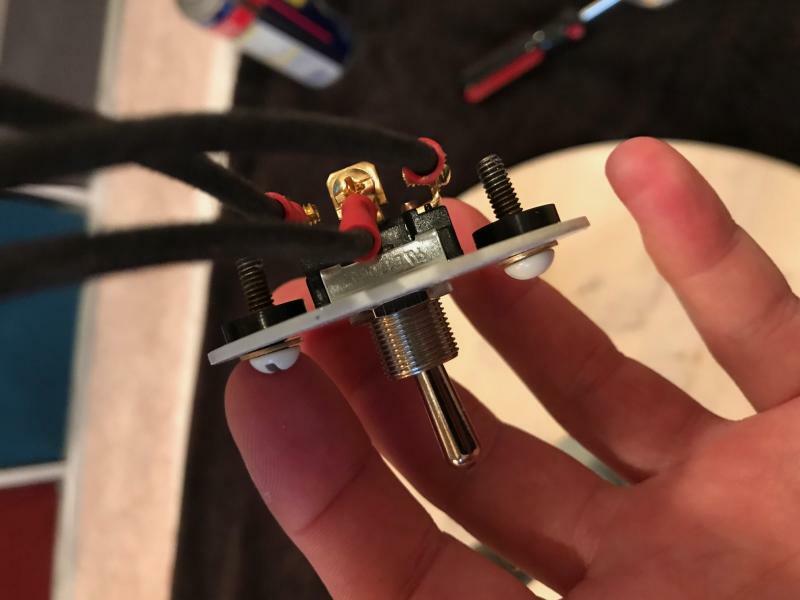 Also just so you know, these fans are meant to be 3 speed fans and are meant to be run through the speed coil using a snap switch, unfortunately they never made 2 speed snap switches that I know of and you wouldn't be able to use a toggle switch because there wouldn't be any way to mount one on this fan. Also Snap switches aren't actually that hard to find they come up quite often for sale on ebay as either NOS or previously used, the problem is making sure that they snap into position like they're supposed to because they are spring loaded (which is how they get their "snapping" action and those springs in those switches do eventually wear out after a while. Levi Mevis wrote: I'm just curious but what's your obsession with restoring and installing antique ceiling fans in your parent's home? Especially considering that by the way your parent's house looks it doesn't even look old enough to of had fans of this vintage in it originally. 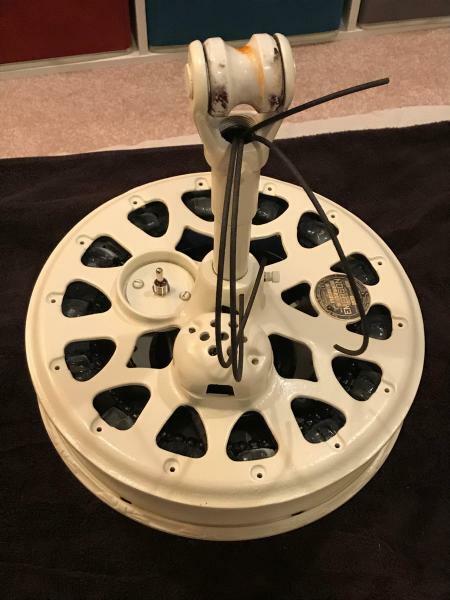 I would only install antique ceiling fans in a house that would fit the time period of the ceiling fans, I most certainly would NOT install antique ceiling fans in a home from the 1970s or 1980s, as the aestetics wouldn't be right. 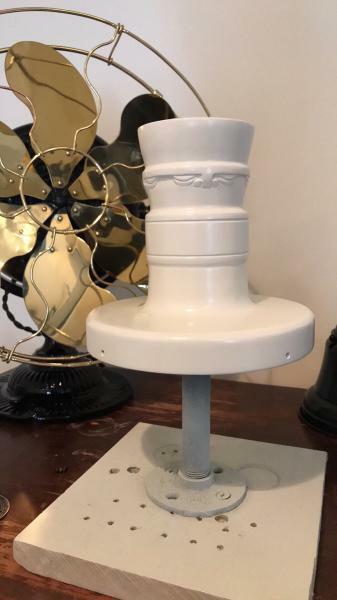 Imagine trying to install a 1920s craftsman style chandelier in a midcentury modern home built in the 1960s, it wouldn't look right, its the same way with antique ceiling fans! My dad designed and built the home in an early German Texas style, complete with a limestone exterior and Fachwerk den. Most of the furniture is older than this fan, as is the Victrola, cash register, antique peacock lamp, etc. 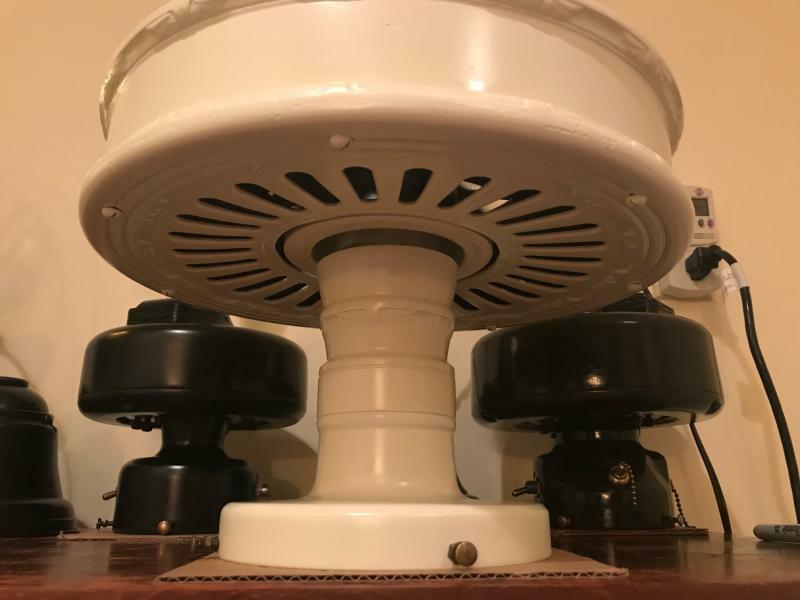 These restored antique fans are both a better fit aesthetically and dramatically better performers than the cheap Craftmade CXLs they’re replacing. Just was curious. I in no way intended to insult you and your work. I just thought it was rather odd that some one was installing early 20th century ceiling fans into a home that was built within the past 40 years. But I guess when you say that your parent's furniture is mostly early 20th century pieces I guess it would make sense, and I'm not really familiar with the German Texas style architecture but it seems to have it's origins in the early 20th century from the way you describe it. So I apologize if my comment upset you, it wasn't my intention. Levi Mevis wrote: Just was curious. I in no way intended to insult you and your work. 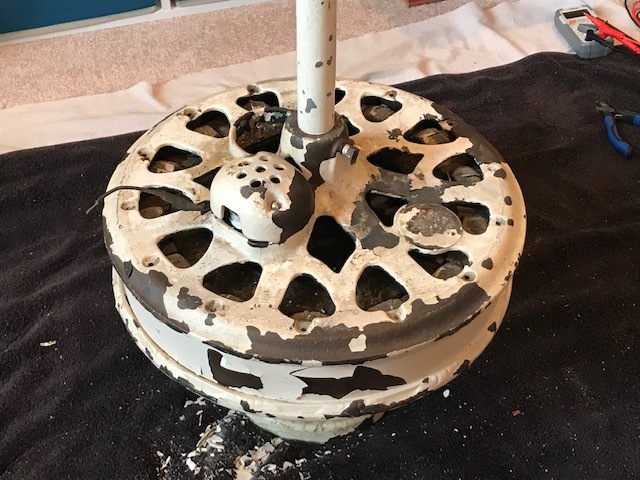 I just thought it was rather odd that some one was installing early 20th century ceiling fans into a home that was built within the past 40 years. But I guess when you say that your parent's furniture is mostly early 20th century pieces I guess it would make sense, and I'm not really familiar with the German Texas style architecture but it seems to have it's origins in the early 20th century from the way you describe it. So I apologize if my comment upset you, it wasn't my intention. 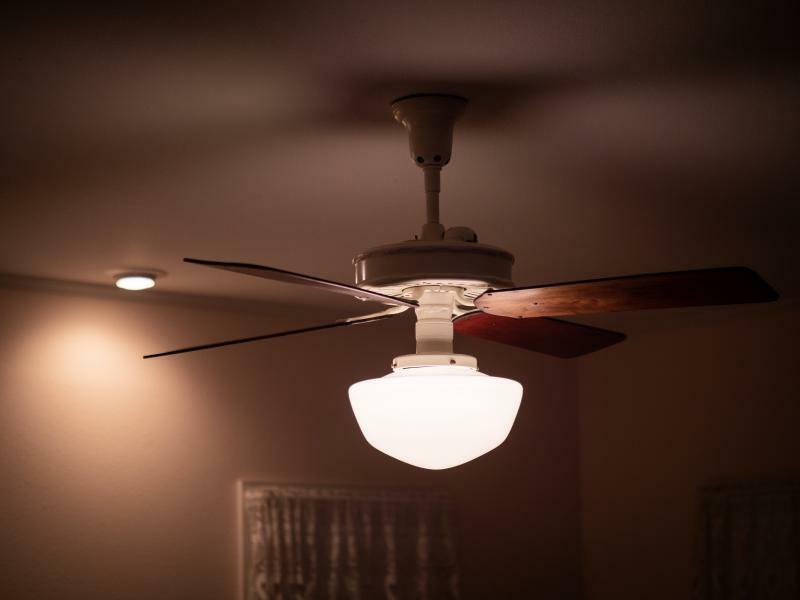 People used to modern ceiling fans are amazed when they see an old fan run. The old ones blow lots more air than the new ones. Steve Cunningham wrote: People used to modern ceiling fans are amazed when they see an old fan run. The old ones blow lots more air than the new ones. 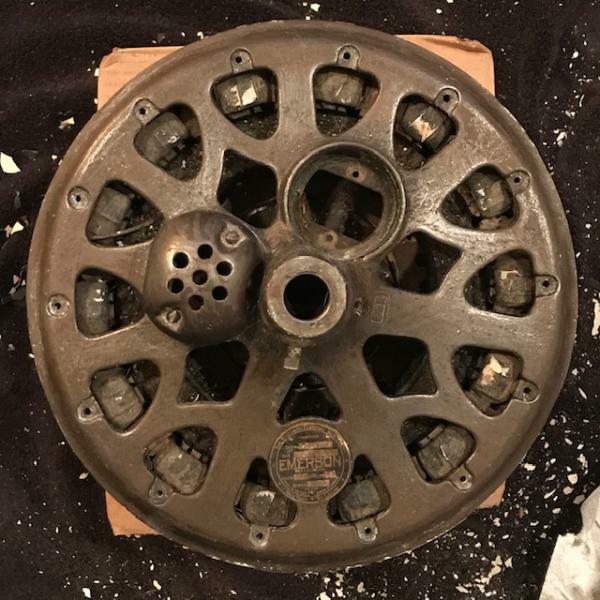 I'm not disagreeing about that but unfortunately antique and vintage ceiling fans are not easy to find anymore especially where I live so installing antique or vintage ceiling fans aren't an option for many including me, as much as I would like to own one. Oil cup / fitter, speed coil cover and hanger primed, painted and clear coated. I really like the look of Satin Ivory so far. Painted some more parts today. Used Dolph’s EB-41 on the stator windings beforehand to quell any possible buzzes. Update time. Everything had been painted, save for the blade irons and canopy. The motor has been reassembled with exception of mounting a capacitor for low speed. You can see the retrofitted toggle switch I fashioned to replace the missing original snap switch. 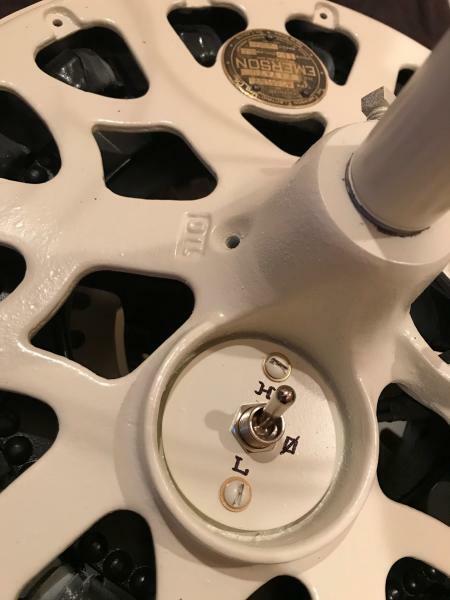 It is important to maintain spacing between the rotor and the bottom of the switch here such that there is enough clearance. Up and running like a top. Factory low is around 150-160 rpm. My parents are really enjoying it! Nice work Derek!! I love the color. One of my favorite ceiling fans. Great work on this one, Derek! Great work! Fixing to install one of these in an upstairs bedroom. I love your switch, great idea! Stan Adams wrote: Great work! Fixing to install one of these in an upstairs bedroom. I love your switch, great idea! Thanks, Stan! I'm sad to say that this will be the last of three fan restorations for my folks, as they intend on selling the house in the coming years. Anything that goes up will have to come right back down! We should get together when I'm back in Sugar Land in August. I'd enjoy seeing your collection! Give me a shout when you are down, would love for you to come by! Page processed in 0.1942 seconds (22% database + 78% PHP). 31 queries executed.